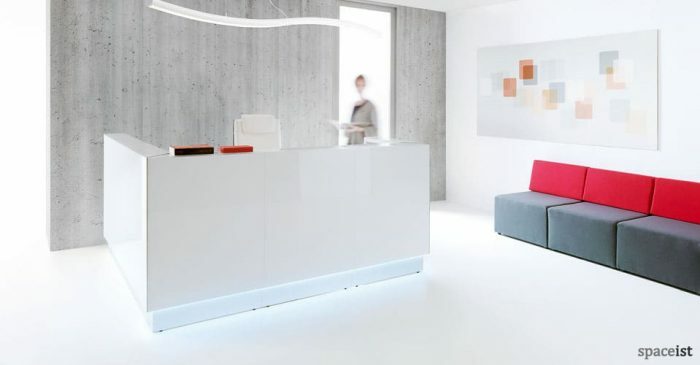 Create the perfect first impression with the right reception desk. 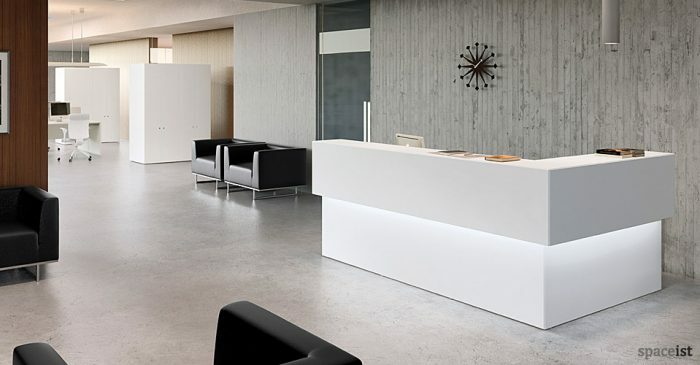 Designer, retro or minimalist; large or small - there’s a reception desk or counter here to suit every workplace - from corporate offices to clinic waiting rooms to college and university reception areas. 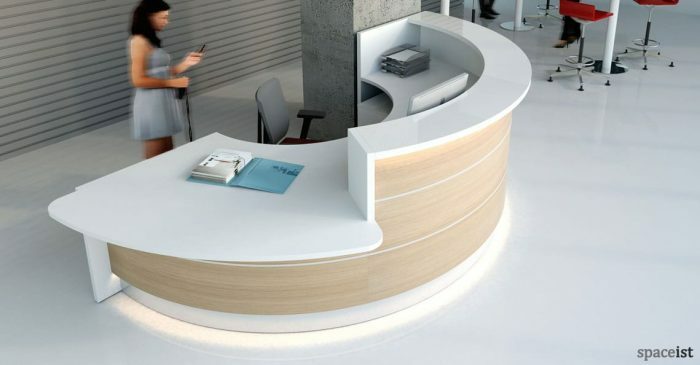 Our designers and space planning experts will help you to find the perfect reception desk for your space from options including curved, circular and corner desks to reception counters and standing desks. 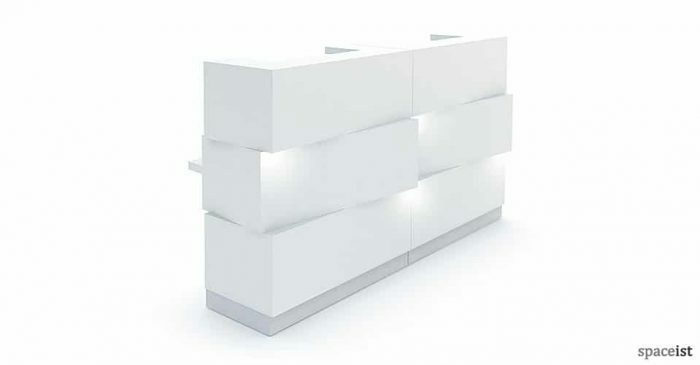 Fabulous front panel designs come in glass, white, black, padded fabrics, metal, wood and even LED lights. 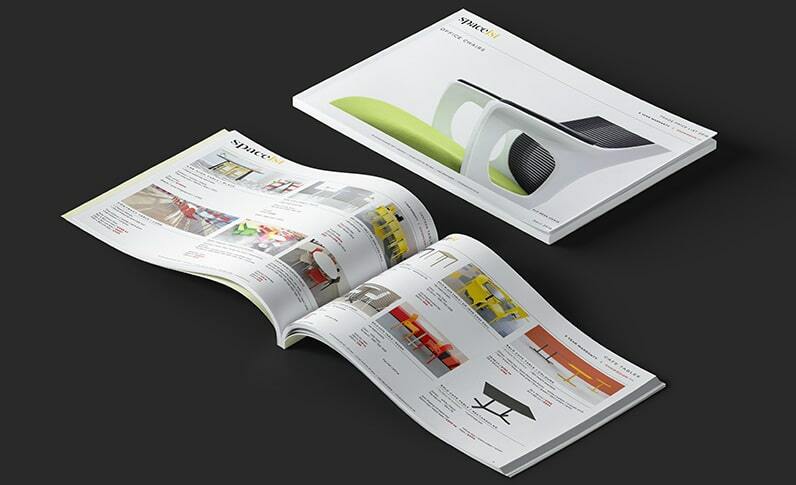 Or tell us your bespoke size and colour requirements and we’ll advise using CAD drawings, images and colour swatches. 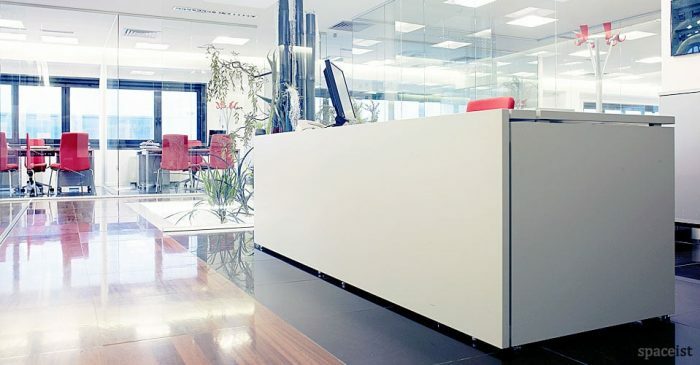 For full accessibility and flexibility, reception desks are available with DDA compliant top options, cable management and power sockets. 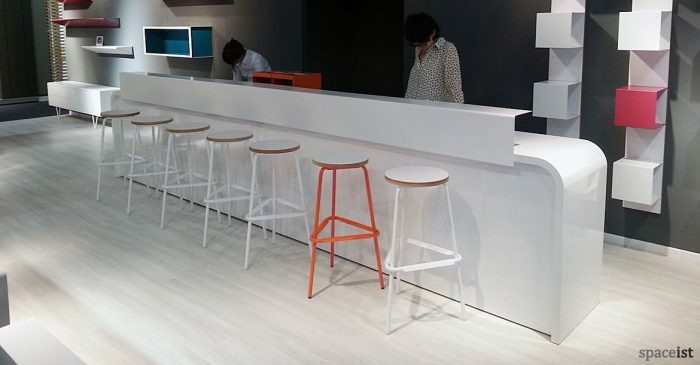 And all delivered and installed throughout the UK. 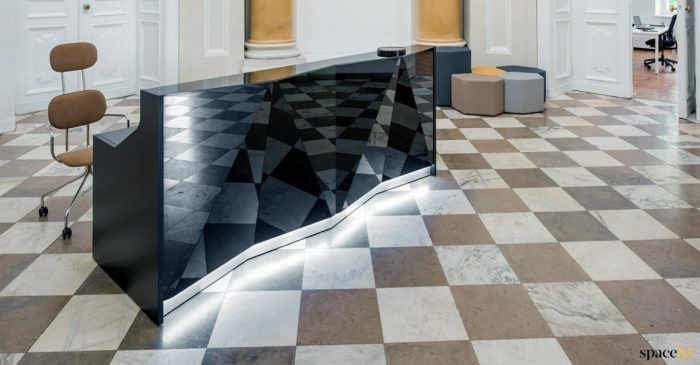 Two person black glass reception desk in a geometric shaped pattern. 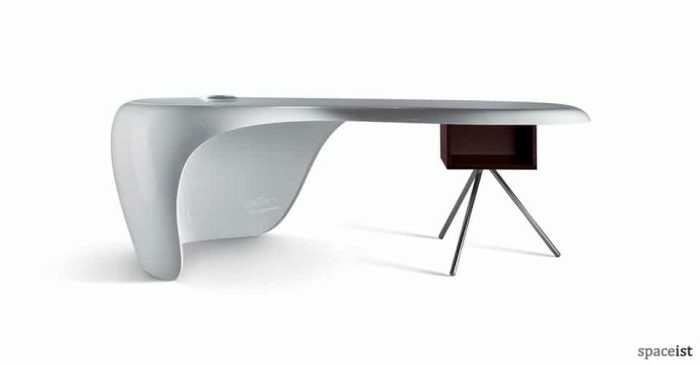 White & silver glass desk front available. 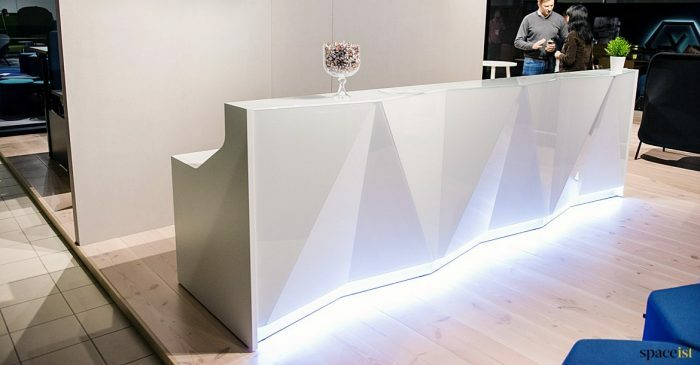 White iceberg shaped glass corner reception desk. 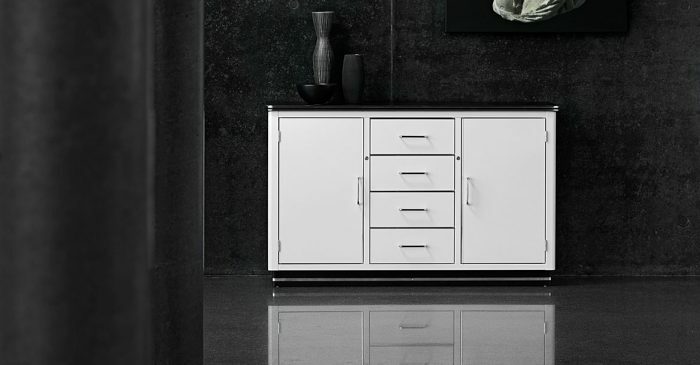 Glass colours include white, black & silver. 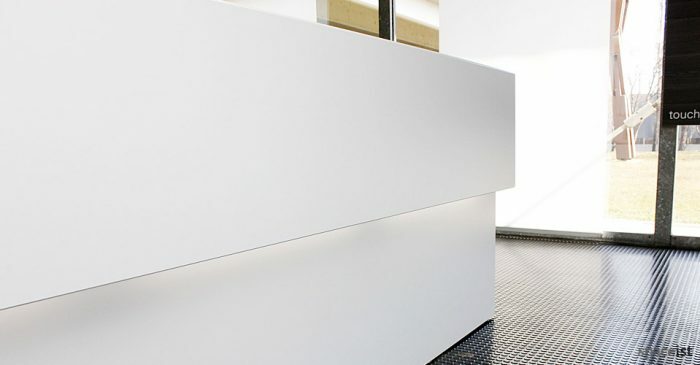 LED down-light on all sizes. 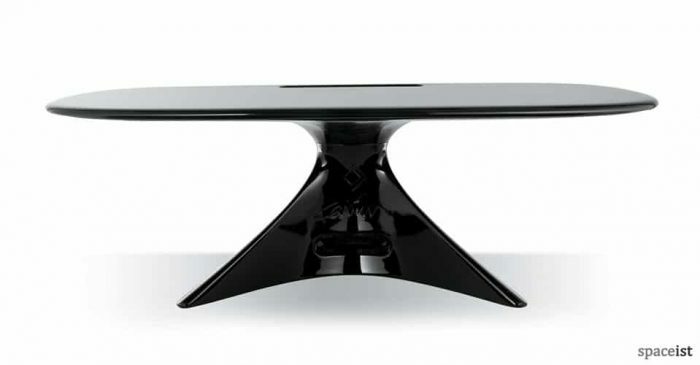 Available in left or right configurations. 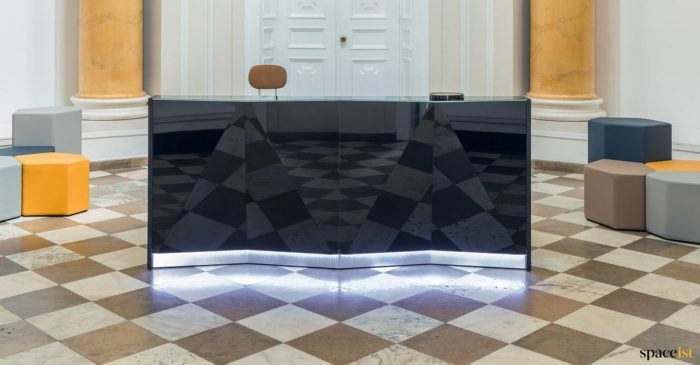 Two person silver glass reception desk with a geometric shaped pattern. 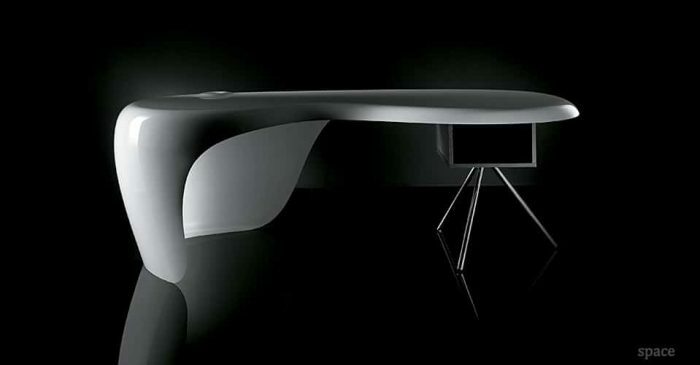 White & silver glass desk front available. 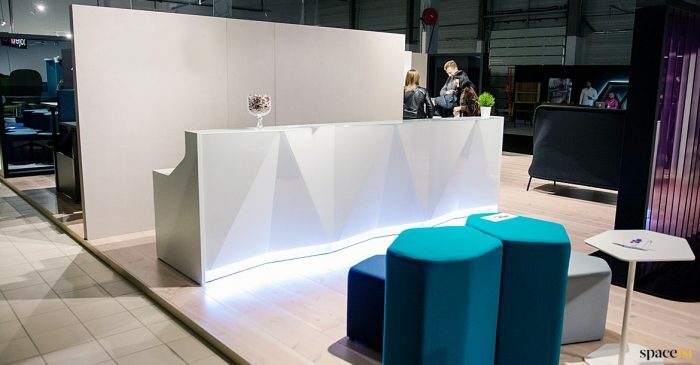 White geometric shaped reception desk. 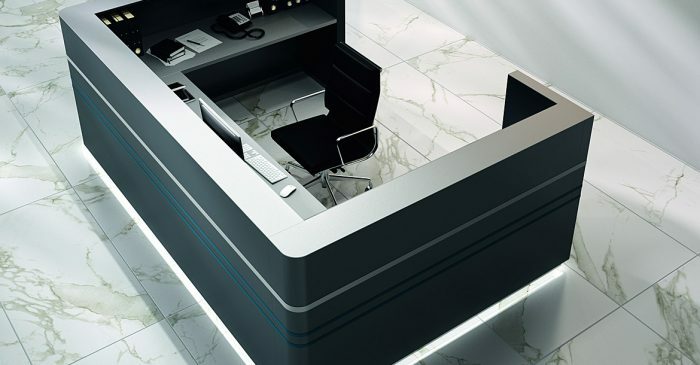 White, black or silver glass desk front. 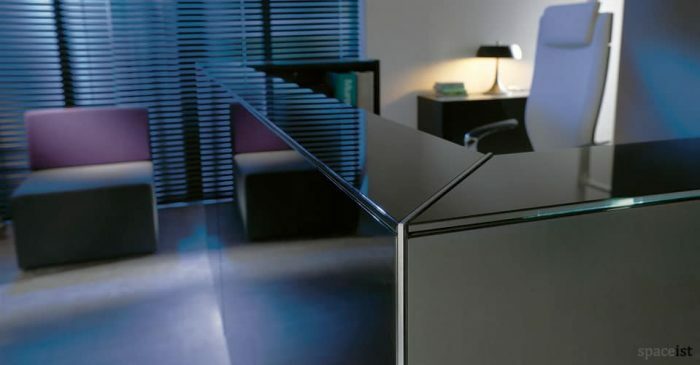 For a more casual style reception desk try our new AtWork high desk. 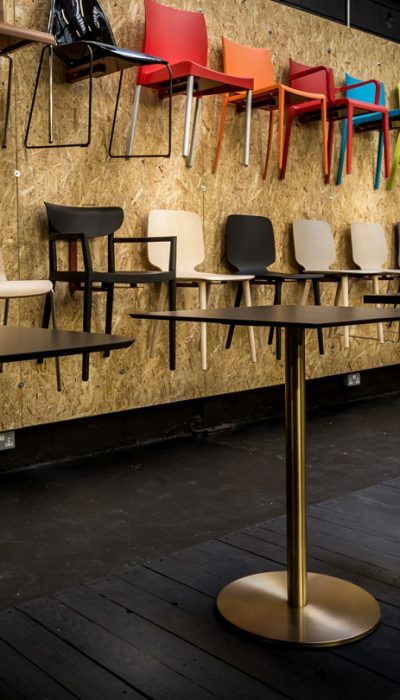 Use standing up or sitting on a stool. 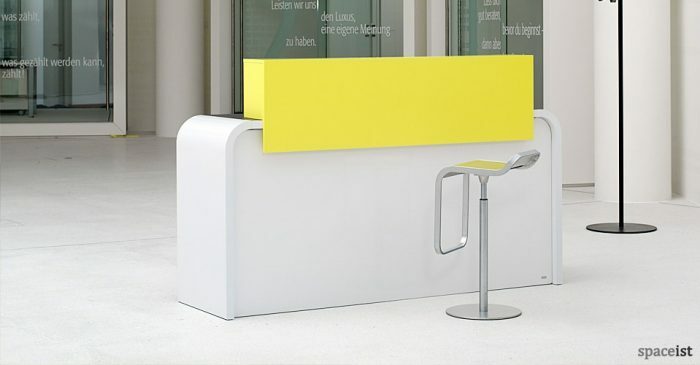 U-shaped reception desk in a colour to match your companies brand. 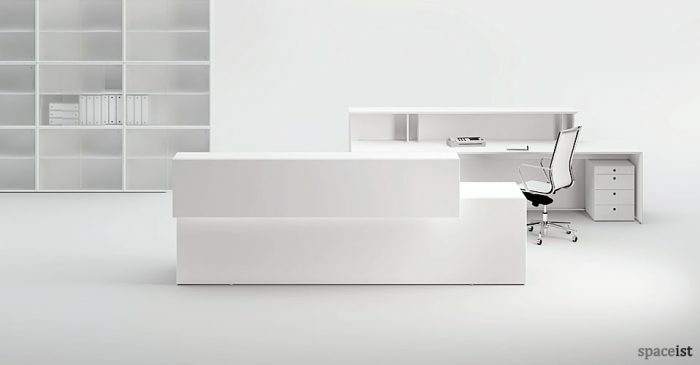 Corner & straight configuration available. 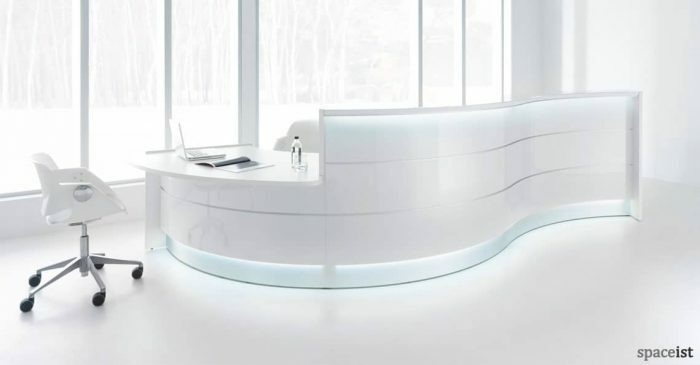 White minimalist reception desk in a U-shaped configuration. 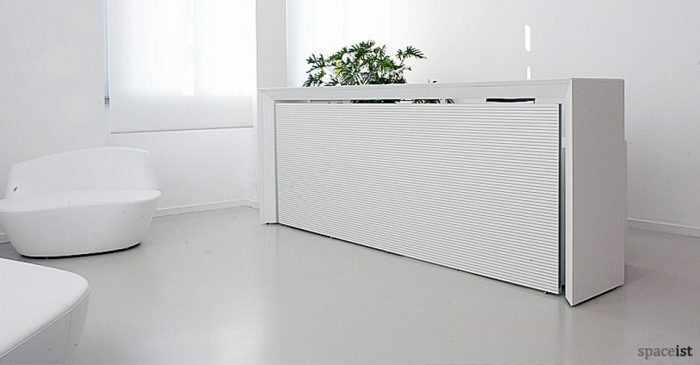 Made to order to fit your reception area. 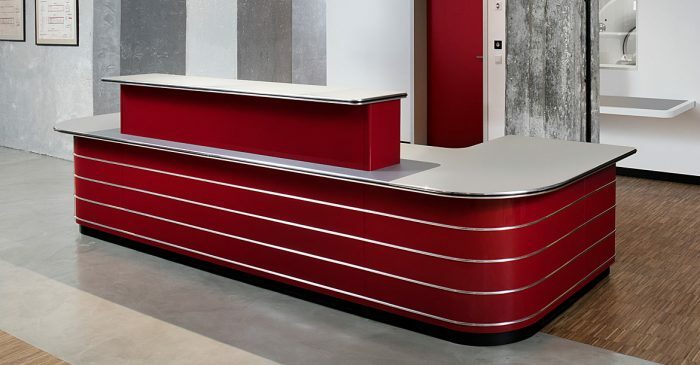 50's styled reception desk made from metal then powder coated in the colour of your choice. 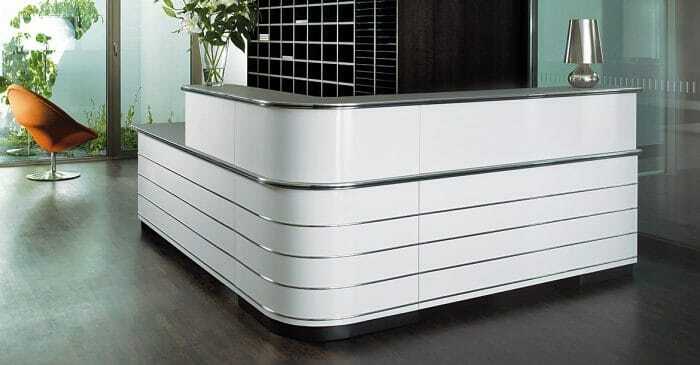 High quality reception desk with a 50’s diner style chrome trim. 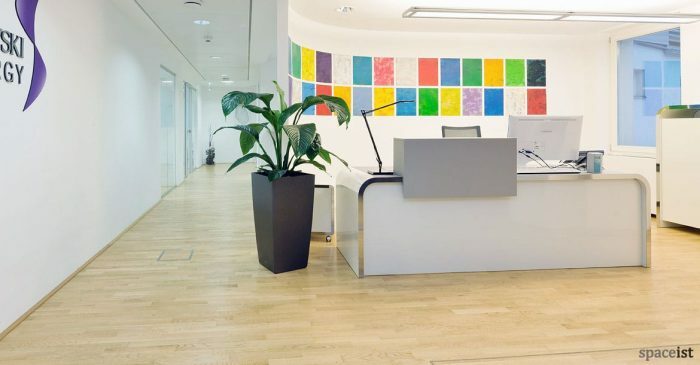 Match your brand with over 100+ RAL colours. 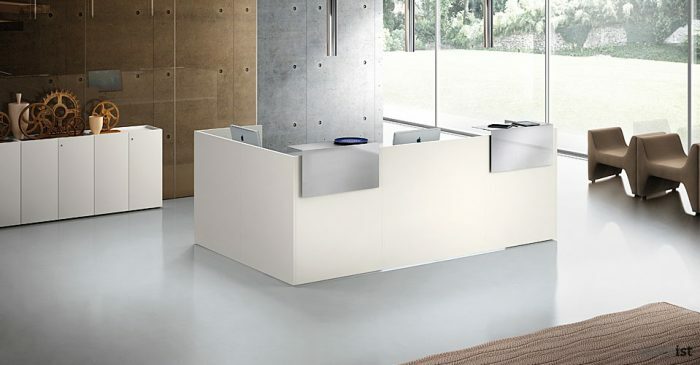 White long reception desk with white metal counter top. 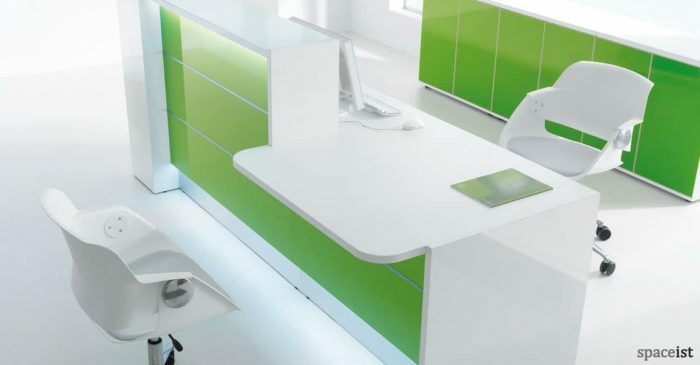 Desk & counter top unit come in over 60 colours. 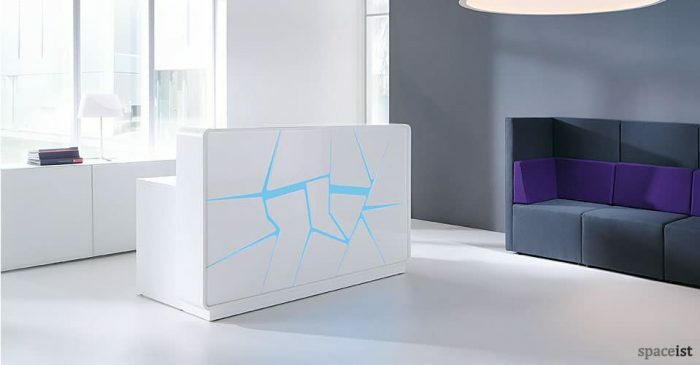 White reception desk with rounded corners & cracked ice front panel. Lights red, lime, blue, yellow & white. 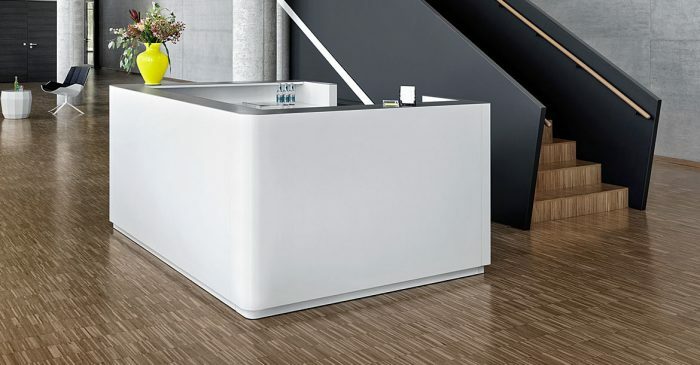 Economical white reception desk that comes in white, dark oak, walnut or maple finish. 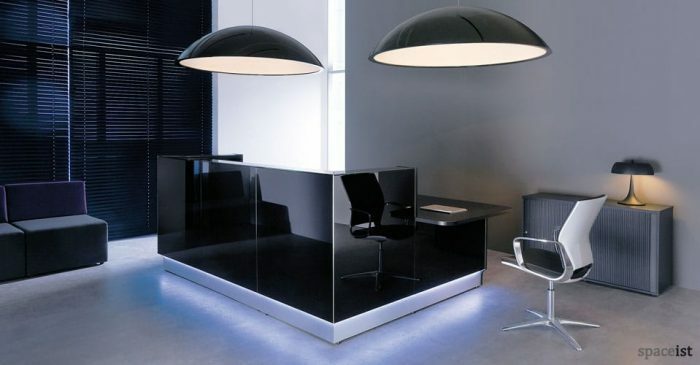 Black glass reception desk with LED down light & stainless plinth. 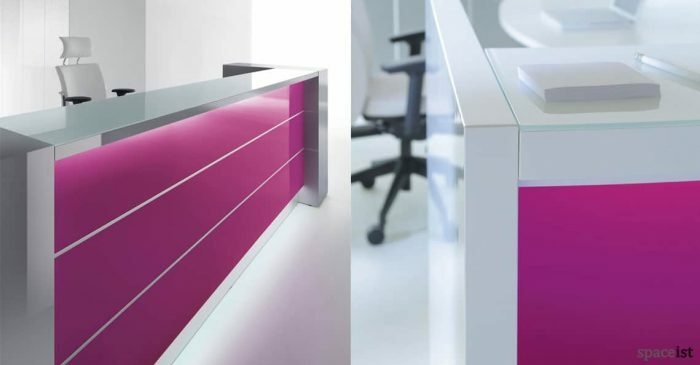 Panel colours include silver, white, turquoise & pink. 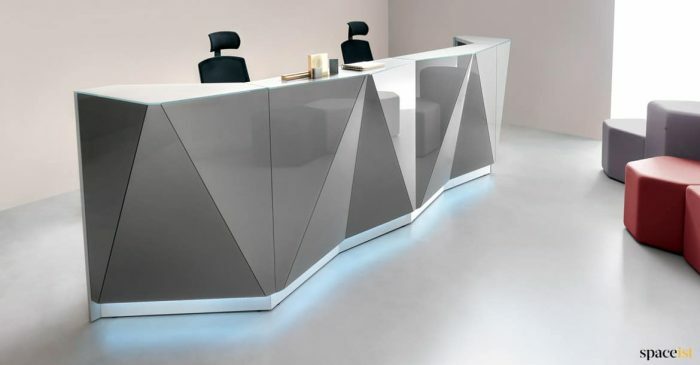 Modern U-shaped glass reception desk. 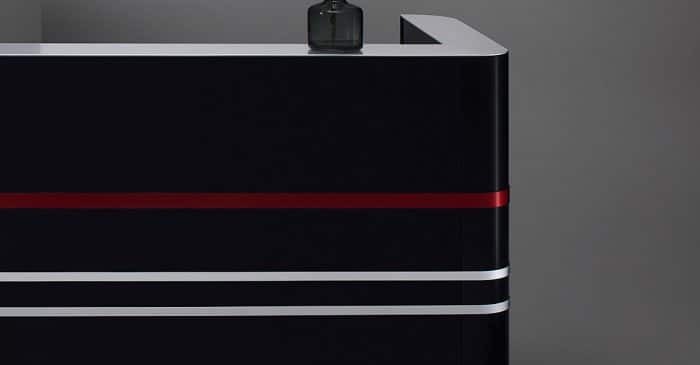 Front panel colours include black, white, silver, turquoise, yellow or pink. 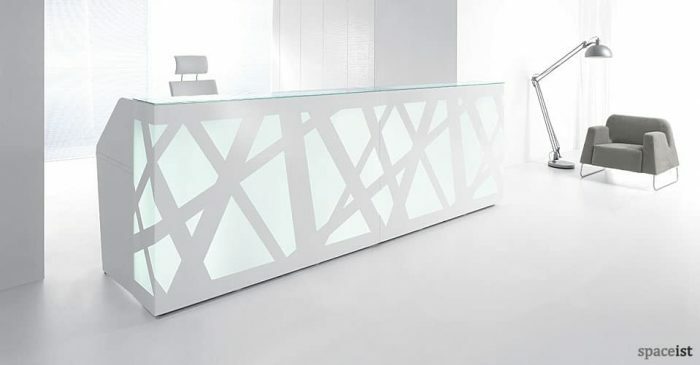 Silver glass reception desk with LED down light. 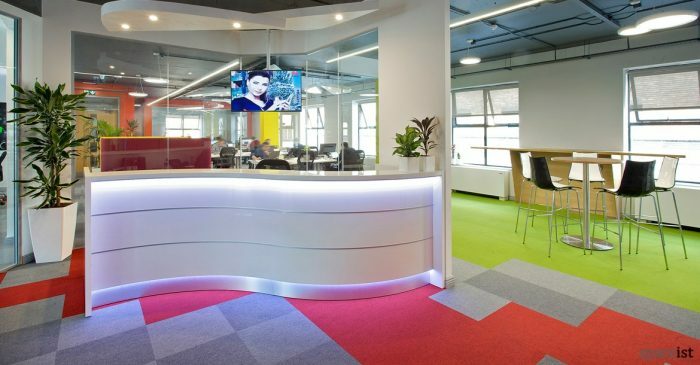 Glass colours include black, white, turquoise, yellow and pink. 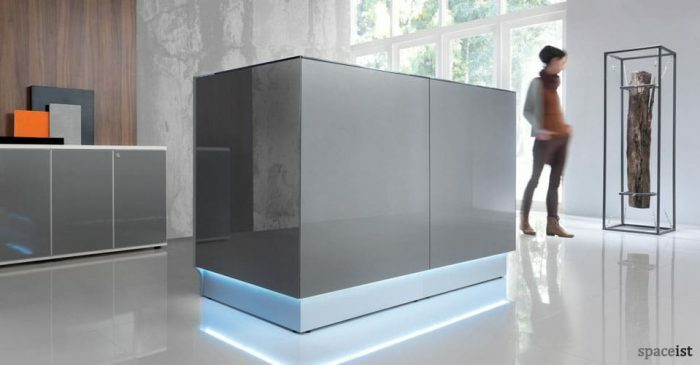 Glass reception desk with LED down light. 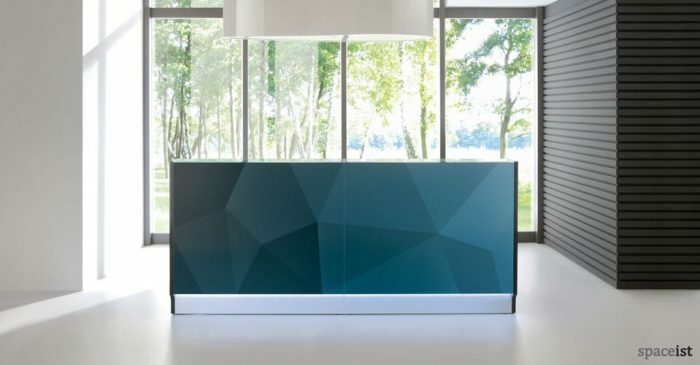 Front panel is shown with a special blue geometric pattern. 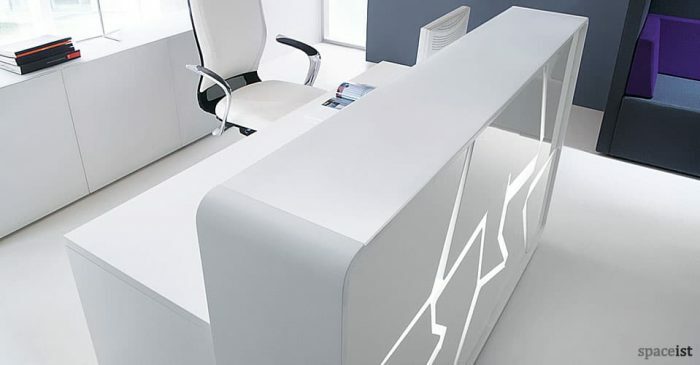 Minimalist reception desk comes in white or light grey. 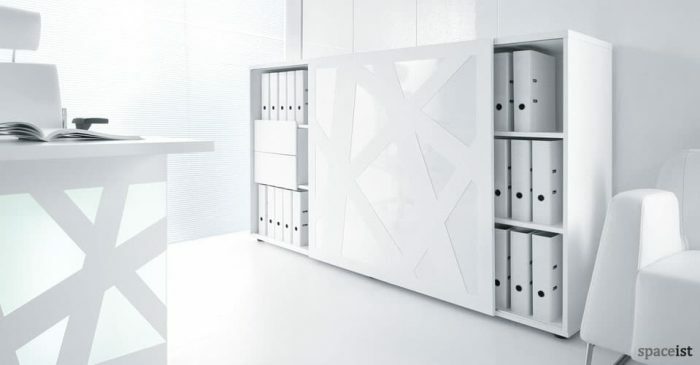 Include down light, cable management & sound absorbing panel. 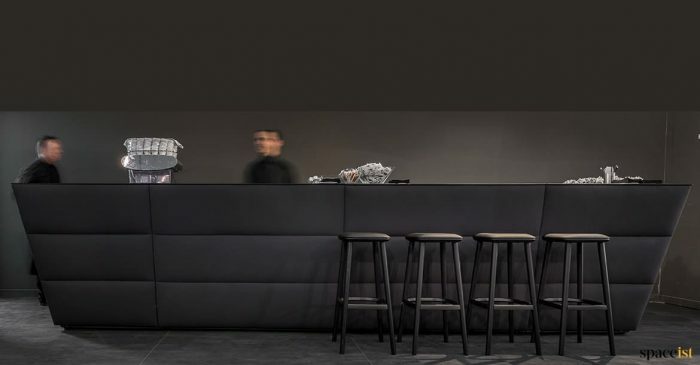 Black modular reception desk with a padded upholstered front panel. 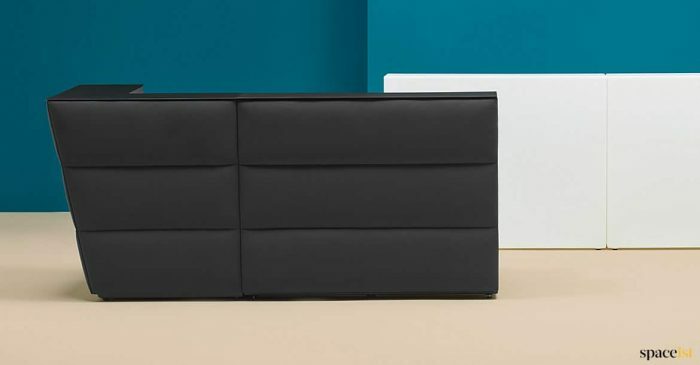 Front panel is available in a range of fabric & faux leather colours. 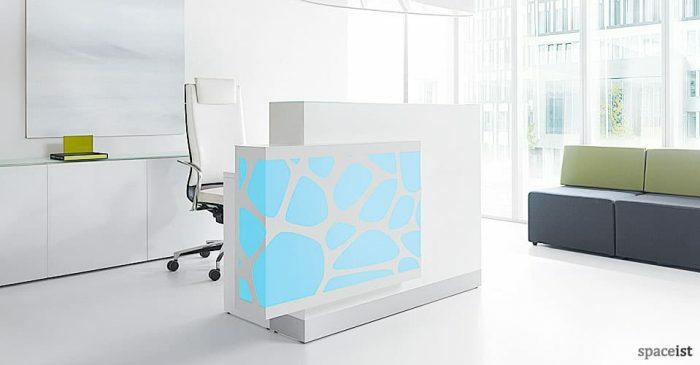 White reception desk with a LED front panel in white, red, blue or yellow. 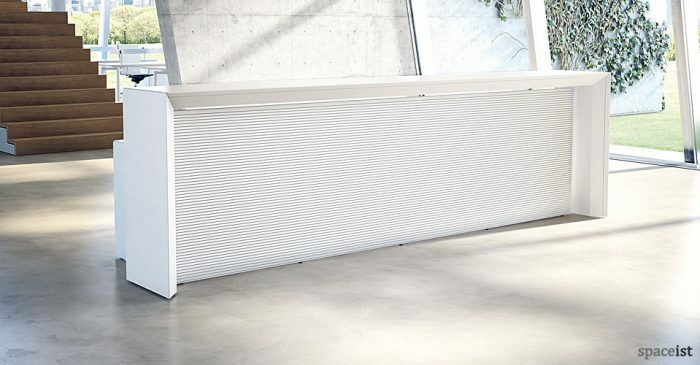 Front panel can be on the left or right hand side. 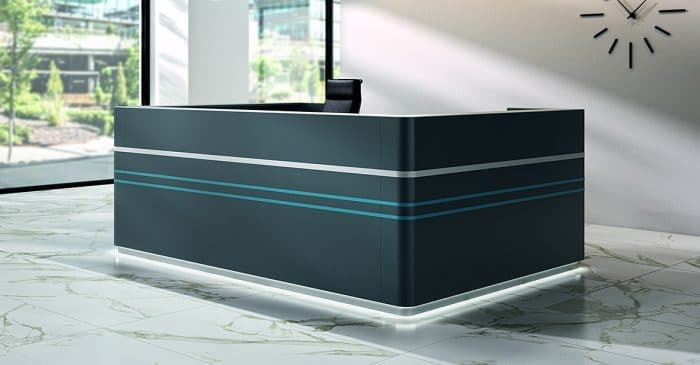 Curvy glossy reception desk in white, black, light blue, dark blue, light green, yellow & pink. 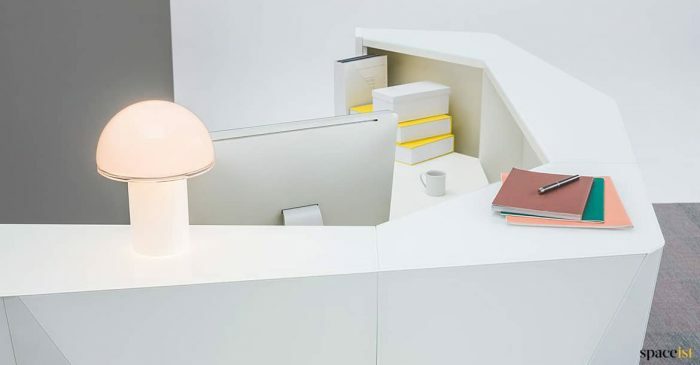 Integrated cable management. 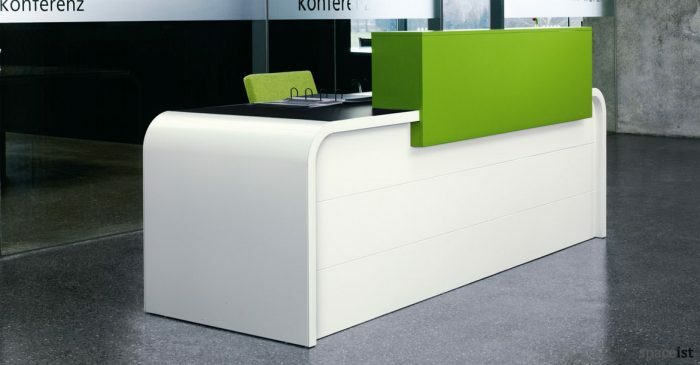 Green reception desk with slatted front panel in gloss white, orange, green, burgundy, yellow & fuchsia. 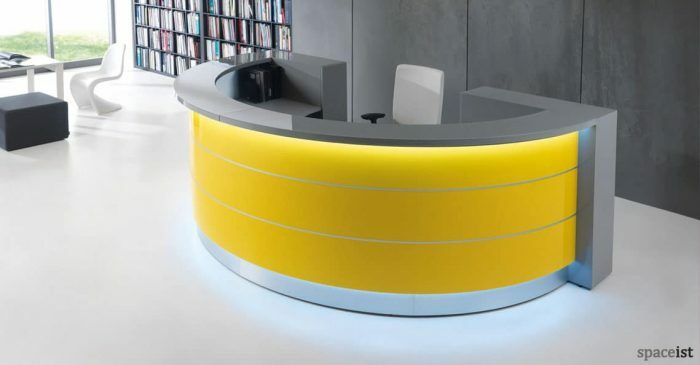 Half circle reception desk with slatted front panel in oak, chestnut, gloss white, orange, green, burgundy, yellow and fuchsia. 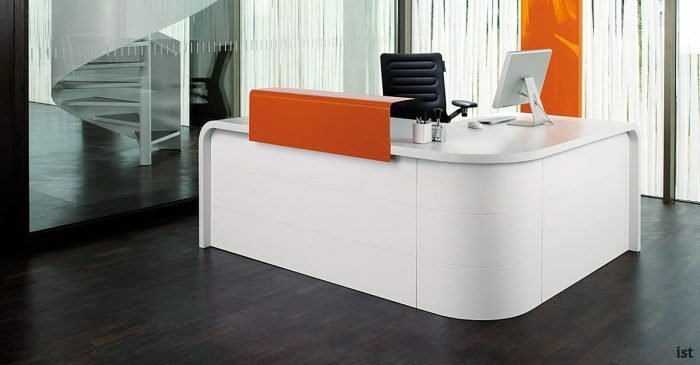 Gloss white curved reception desk with slatted front panel in gloss white, orange, green, burgundy, yellow & fuchsia. 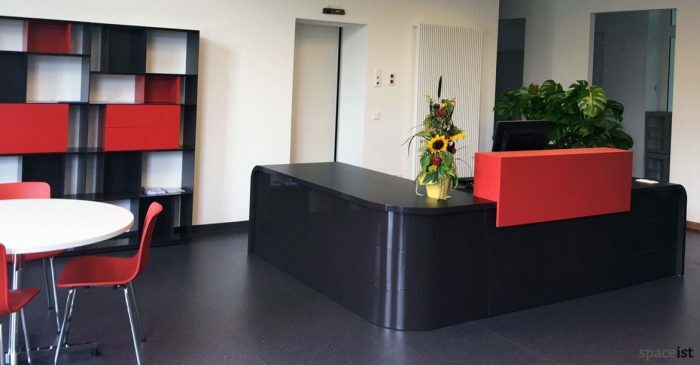 Simple reception desk with integrated cable management. 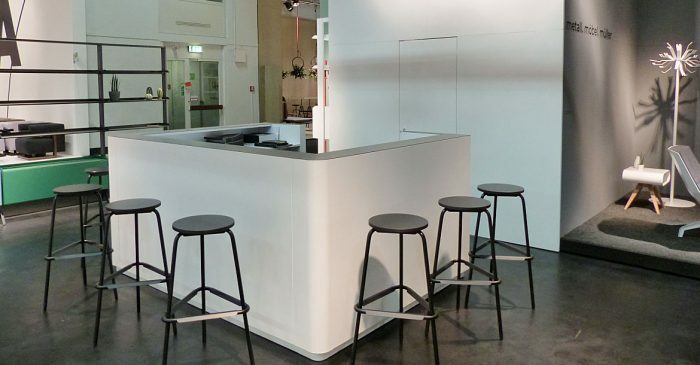 Melamine finishes include white, light grey, oak & walnut. 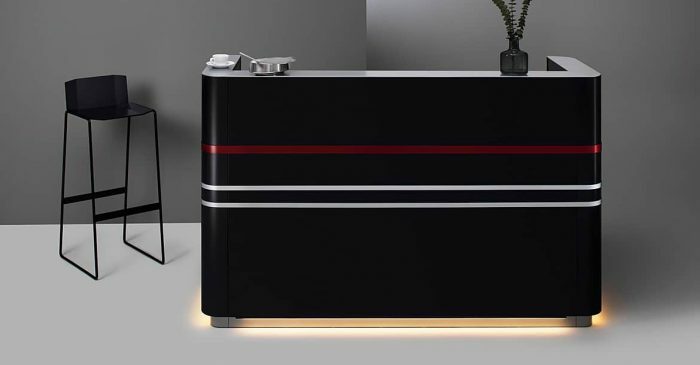 White reception desk with LED light that turns red, pink, orange, blue, green & yellow plus a spectrum of colours. 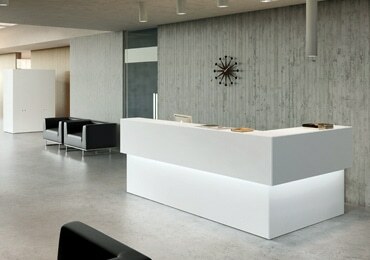 Block style reception counter suitable for office, showroom & public spaces. 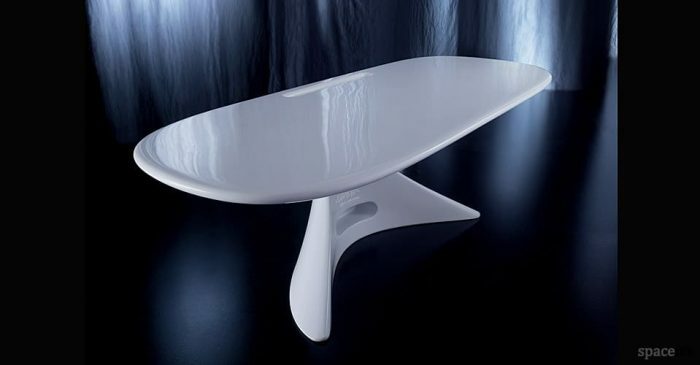 Colours include white and aluminium. 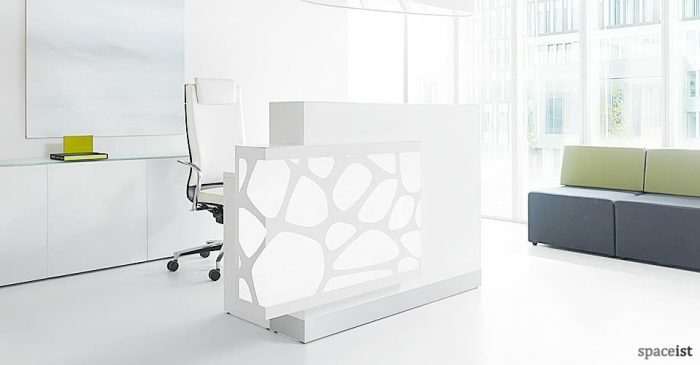 Reception desk in silver aluminium or white laminate with a brushed aluminium base. 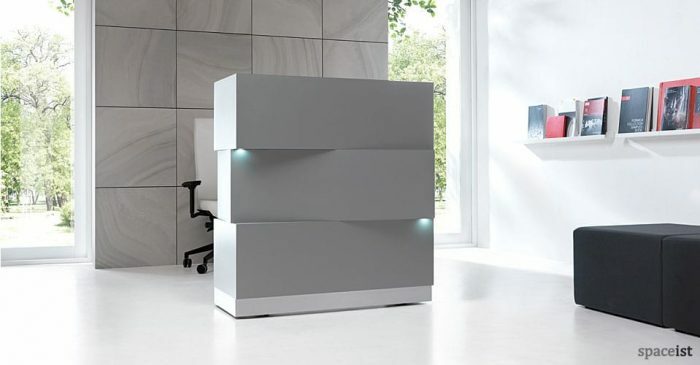 Options include drawer & wheels. 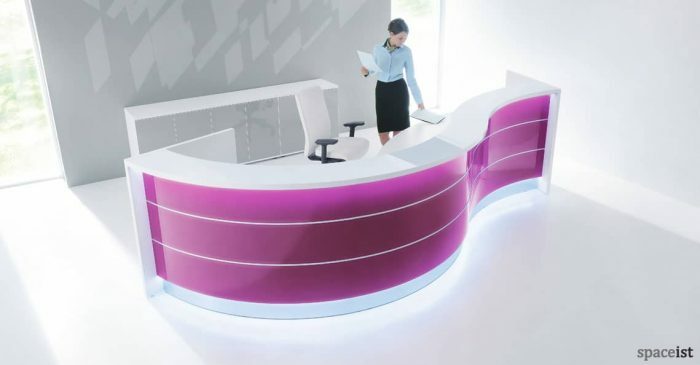 Organic curvy reception desk in glossy white, black, blue, lime green, yellow & pink. 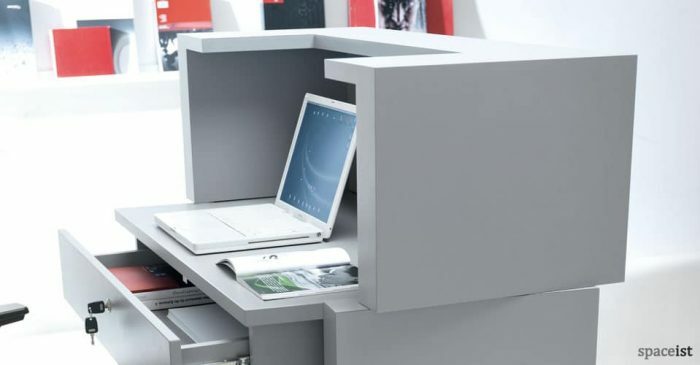 Integrated cable management.